As a dietitian, I love reading research that shows real food to be superior to supplements in sports nutrition. Why? Because real food is well, REAL FOOD. Who wants to spend tons of money on supplements when you can get most of what you need from REAL FOOD? 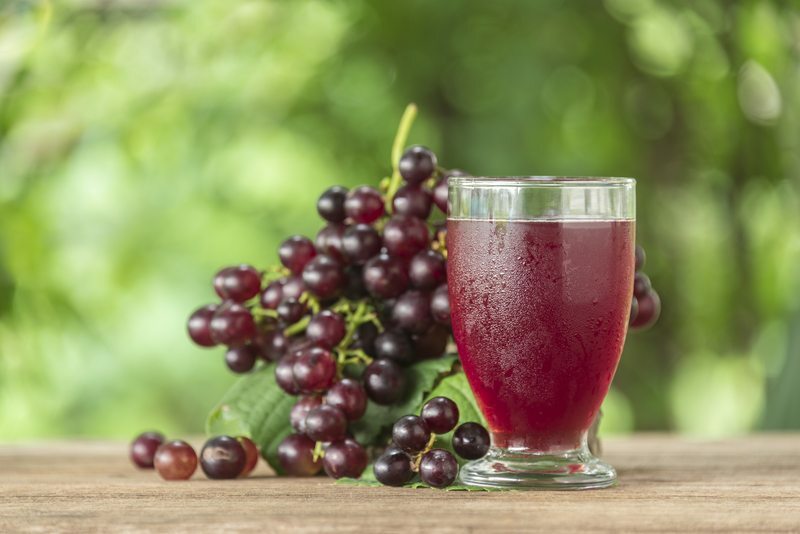 Recently, researchers looked at the performance-enhancing effects of a simple, inexpensive fruit juice that most people think is only for kids: purple grape juice! Let’s take a closer look at this study (1). Grape Juice Group (GJG). This group received about 400 ml of purple grape juice everyday for 28 days. Control (CG) - This group received the same amount of a “control beverage”, which means they got a drink that had the same number of calories, same GI index, same color, and same volume as the GJG, everyday for 28 days. Neither group knew what they were consuming or what the researchers were looking for. A time-to-exhaustion exercise test, anaerobic threshold test, and aerobic capacity test were performed, along with assessments of markers of oxidative stress, inflammation, immune response, and muscle injury, performed at baseline and 48 hours after the 28th day. The results were pretty impressive: The GJG showed a 15% increase in running time-to-exhaustion without significant improvements in either anaerobic threshold or aerobic capacity. This means that the runners were able to exercise longer before becoming completely exhausted and this extra time was not due to improved fitness because their fitness level didn’t significantly change during the 28 days. Very interesting! In addition, the GJG exhibited significant increases in total antioxidant activity whereas α-1-acid glycoprotein (biomarker for inflammation) significantly decreased. No significant changes occurred in any of these variables in the control group. The authors concluded “supplementation with purple grape juice shows an ergogenic effect in recreational runners by promoting increased time-to-exhaustion, accompanied by increased antioxidant activity and a possible reduction in inflammatory markers”. Very cool! This isn’t the first study to look at the positive effects of grape juice in endurance athletes. Researchers in Brazil found that the consumption of purple grape juice improved glucose homeostasis, antioxidant capacity, and microvascular function in male triathletes (2). Does this mean you should run out and buy purple grape juice? Not necessarily. More research is needed to confirm the ergogenic effects of purple grape juice - including whether there are gender differences - but because purple grape juice is cheap and not harmful, it doesn’t hurt to try it either! So why is grape juice so good for runners and triathletes? One possible reason is that purple grape juice contains large amounts of “polyphenols”, which are compounds found in plants that help fight chronic disease, such as heart disease and cancer. Polyphenols exert antioxidant effects within the body that, according to these two studies (and others), might help improve performance in endurance athletes as well. Other studies have found ergogenic, health-promoting effects of pomegranate, tart cherry, and beet juice, all of which are high in polyphenols as well (more on that in a future blog). The supplement industry has been quick to react by making supplements and powders that supposedly contain the same amount of polyphenols that grape juice contains. But supplements are not regulated very well, making it difficult to know if the labels are truthful. Plus, these products are often much more expensive than just buying a bottle of grape juice so why not just buy the real thing? 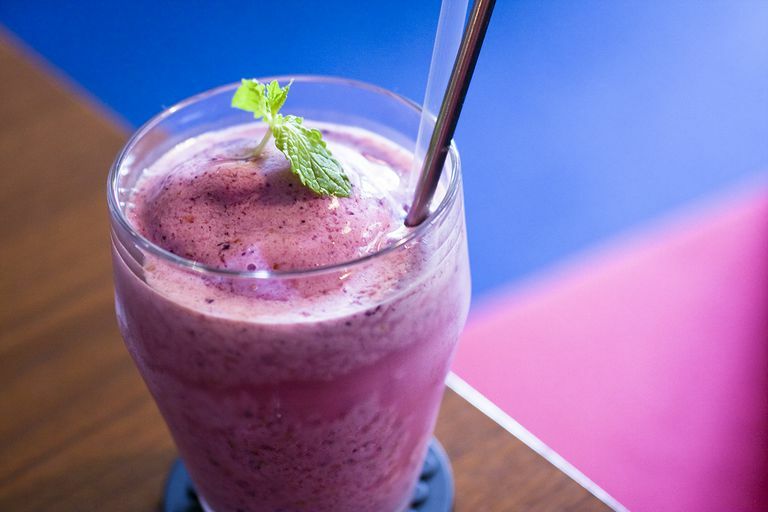 If you don’t like to drink grape juice, you can also add it to homemade smoothies. For instance, one of my favorite smoothies is simply mixing frozen berries, tart cherry or pomegranate juice, and vanilla protein powder in a blender. I haven’t tried grape juice yet but I will soon. I’m sure it will taste just as good. So, next time you think you need that expensive pill or powder to be a better athlete, maybe consider real food first. It might just do the trick! 1) Potential ergogenic activity of grape juice in runners. Appl Physiol Nutr Metab. 2015 Sep;40(9):899-906. 2) Organic grape juice intake improves functional capillary density and postocclusive reactive hyperemia in triathletes. Clinics (Sao Paulo). 2011;66(9):1537-41.